"Work ON your business not IN it." How many times have we heard these quotes? We can even both agree how “cliché” these messages are. But we can’t deny there’s a truth behind them, especially in running a business. We now live in an environment that's friendler for business than ever before. With all the tools, methodologies and resources available to us – most for free – anyone can start and run a successful business. The good news is you don’t even have to be hands-on, which is what I’m going to show you right now. My goal is to help you understand that automating a business is easy. And in most cases, free. Automating your business marketing frees you up to close more sales and deliver more service to your customers. In fact, once you learned these 7 techniques, you'll realize how much money's leaking from your business because you didn't apply these methods in the past. But before we proceed, let me give you 7 reasons why automating your business marketing is beneficial. Lastly, let me give you a few reminders before jumping into the business automation bandwagon. Each stage requires a different type of content. In automating your marketing, the best place to start is knowing which type of content goes where. That way, it'll be easier to convert leads into buyers. Remember, information is today’s currency. If you want to buy your customer’s attention, you’ve got to be ready with highly-targeted content every time. Creating a content calendar helps your team in producing a constant stream of content – and attention from your target audience. Find an ideal email marketing tool that will let you publish scheduled emails instantly. Among the famous service providers are Aweber, Mailchimp, and Getresponse. The idea behind it is simple. His email address goes to an autoresponder list being managed by your service provider. Once listed, your autoresponder starts to work and send pre-written emails for a specific duration (e.g. daily, weekly, monthly). You can send a full sequence of email starting from welcoming your subscribers to promoting a product – on autopilot. By employing an autoresponder, you don’t have to write emails every time. You can just write them in a batch and the service provider will take care of the rest. Other than email, there's no better way to reach customers online than through social media. However, it would be hard to manage separate social media accounts while gathering pertinent data from each service. This is where a social media management tool come in. Ideally, a social media management tool should let you broadcast content, monitor activities and schedule updates in a single platform. The top 3 social media tools you should check out are Hootsuite, Buffer, and SproutSocial. They say, "The customer is always right." What a customer wants, the customer gets. You can say the same with your content. By automating content curation, you'll be able to find, organize and share the most relevant digital content for your target market. Websites, authors, gurus and even competitors have already done the hard work for you. All you have to do is to find these content and publish them to your site. I'll leave you with a word of caution. Be sure to choose a contributor who has good material to work with. Ask them for at least 3 sample articles and few topics they like to write about. Another way to automate your marketing is to reach out to PR sites like HARO (Help a Reporter Out), ProfNet and PRLeads. You register on these sites as a source or an expert. Then, you will receive email inquiries about various topics such as health and travel. If reporters think you've got a newsworthy information, they'll contact you. The reporter gets his scoop and you've got exposure. No need to hire a publicist. Instead, the exposure comes to you. All you have to do is to get ready and prove them why you’re worth their time. 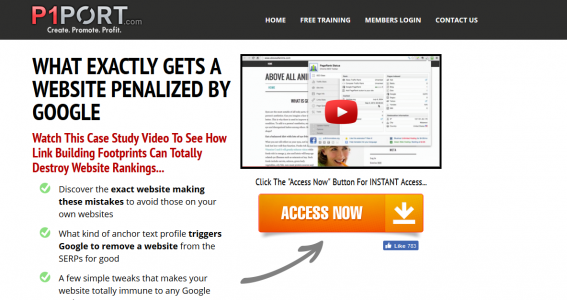 Don't have time to send emails to your subscribers? Do you feel like writing blog articles twice a week is becoming a burden? Are you worried about your SEO skills, yet you can't find time to learn more about it? If you have the same concerns, then the next best thing to do is to hire a professional virtual assistant or "VA". From graphic design and social media marketing to list building and content marketing, a competent virtual assistant can do so much more than you can do in a week. Now, you can concentrate more on building your business and leave the technical stuff to a trusted VA. If this is your first time hiring a VA, then I encourage you to read “Become Superhuman: How to hire a Virtual Assistant (Includes Exact Steps, Successful Templates, and More)” by Victor Mathieux, founder of Dept. of Motivation and Everest. If you're not a marketing expert, then you can outsource that aspect of your business to a professional marketer. A competent marketing consultant will be responsible for planning and executing marketing campaigns based on your business goals, customer profile, and budget. You don't have to suffer from information overload especially if marketing isn't your cup of tea. 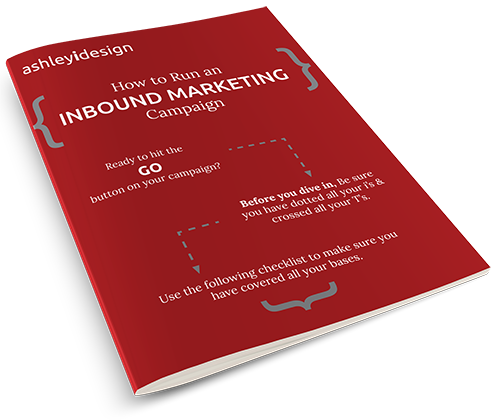 Plus, you can stay up to date with the latest in inbound marketing and stay ahead of the curve. You can hire a consultant on a retainer basis or per project depending on your needs. The good news is you can find a competent consultant easier than 5 or 10 years ago. You can start with LinkedIn, Facebook and online job portals such as Inbound.org. As you can see, having your business on auto-pilot is possible. Now all you have to do is create a high-quality product or service people will love to buy. These 7 methods should work on any type of business. In fact, most Fortune 500 companies are already implementing these techniques. So, if you're ready to run your business on auto-pilot, give me a call or shoot me a message today.